I could not be more pleased with this brilliantly-conceived case. How have I lived thus far without pick-n-pluck foam in my life?? 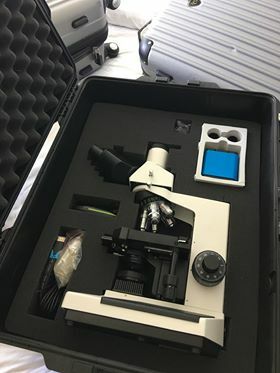 My microscope and all its delicate peripherals are now neatly organised and safely housed, surrounded by custom-fit padding — in a lightweight, sturdy, wheelable/lockable airplane-friendly case. Delivery was swift. 100% satisfied.